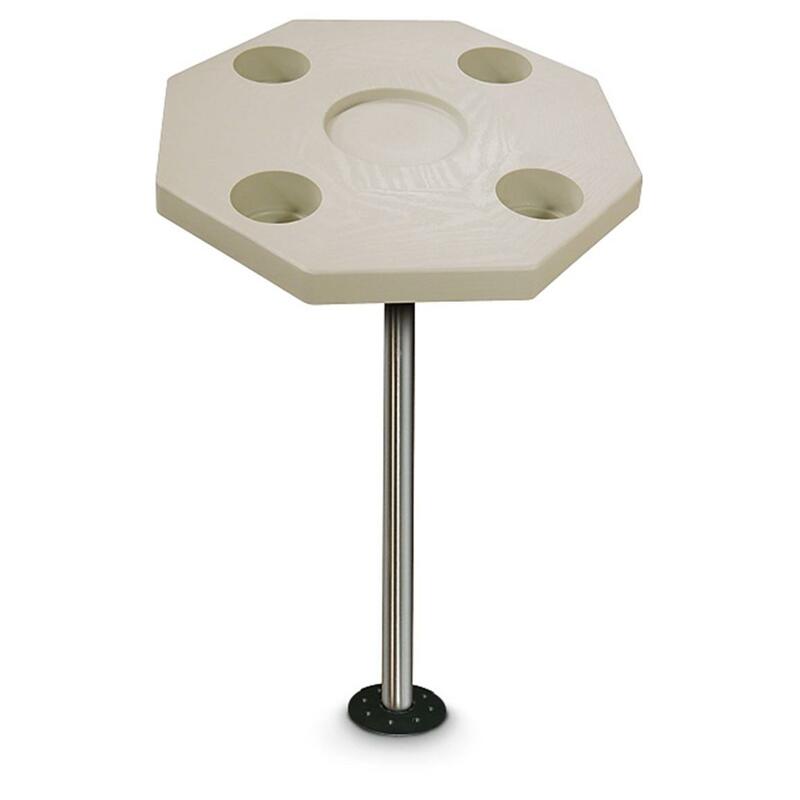 This Marine Table Kit is made to stand up to sun, salt and corrosion! So from lake to ocean you can sit and relax, enjoying food, drinks, games and conversation. Pick the shape you want and put it to use on your next boating excursion. Rectangular Measures: 28" x 16", 26"h.
Marine Table Kit, Ivory is rated 4.8 out of 5 by 4. 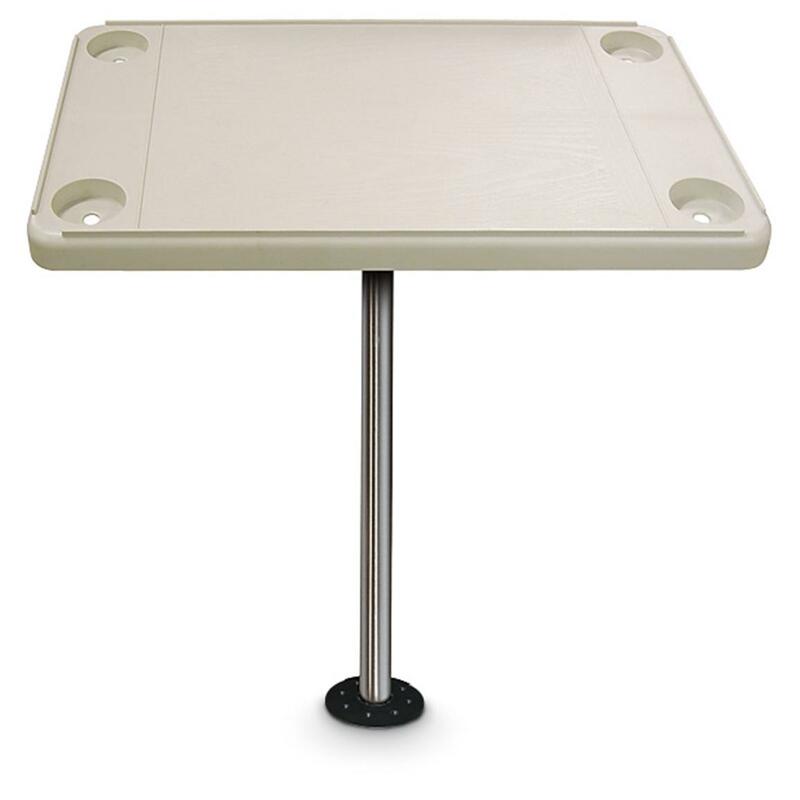 Rated 4 out of 5 by wagnerppw from Great table The table is great, but it did not come with a recessed base. The item description is incorrect. I called them about it and they were going to correct it. I kept the table and ordered the correct base for about $13. They gave me a $10 coupon for future use. Rated 5 out of 5 by djfisher from Great Table for Price Had older table couldn't find a leg for it, larger than present day table sets. This waspriced with everthing and is stable with things on it. Rated 5 out of 5 by RANDY from Works great on the sundeck of my pontoon. Even out your position for a sure footing. Makes feeding deer easy and hassle free! Display your trophy with pride.